Alcatraz and history go hand in hand. Once home to some of America’s most notorious criminals, the federal penitentiary that operated here from 1934 to 1963 brought a dark mystique to the Rock. The presence of infamous inmates like Al “Scarface” Capone, and the “Birdman” Robert Stroud helped to establish the island’s notoriety. To this day, Alcatraz is best known as one of the world’s most legendary prisons. 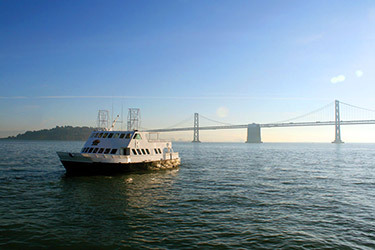 Come experience the beauty, history and infamy of Alcatraz on the San Francisco Bay. You’ll be astounded by what you learn and see.